The docks lie immediately east of Canary Wharf in the London Borough of Newham, covering over 500 hectares of land and 18.4km of waterfront. With the support of funding from the London Economic Partnership (LEAP), this unique part of London is starting a journey to become one of the best examples of regeneration in the world. Located at the intersection of the Thames Estuary, Royal Docks and Beckton Riverside Opportunity Area, and the UK's Innovation Corridor, this is a large area with enormous potential. The Innovation Corridor ranges north through Kings Cross and the Olympic Park, and up to Stansted, Cambridge and Peterborough — Britain's fastest growing region and a vibrant economy. 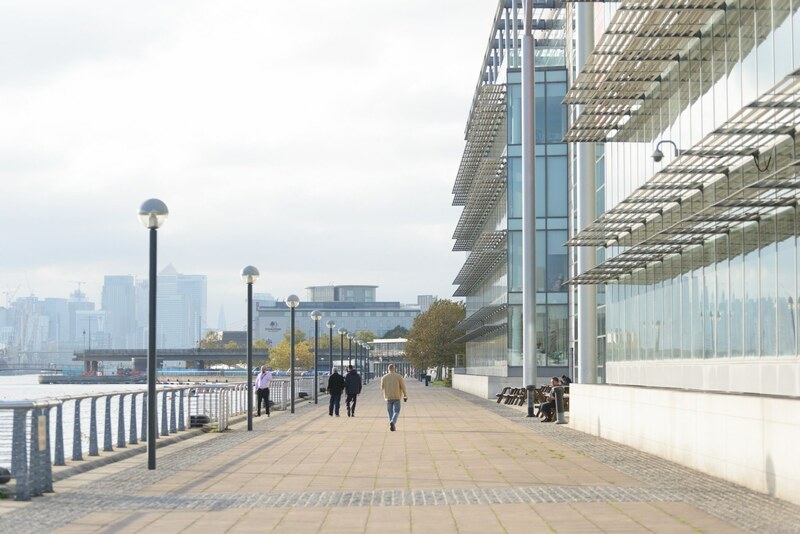 Through co-operating across municipal borders, the Royal Docks is poised to become a flourishing and diverse commercial district.